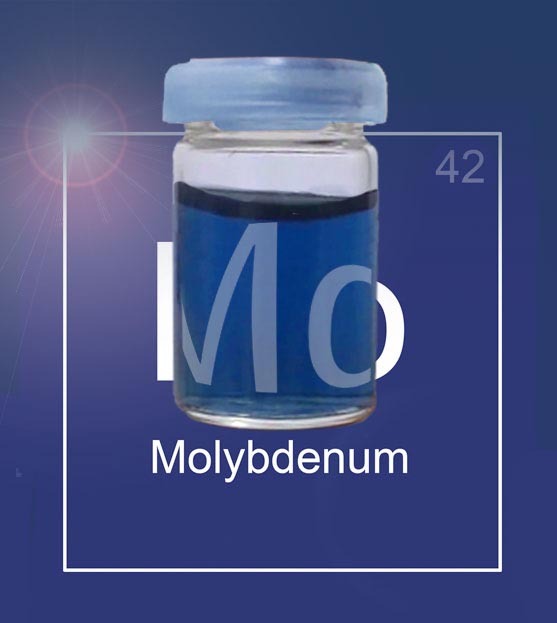 A spokesperson from the Department of Physics at the government laboratory said "Molybdenum and oxygen can combine to form a wide variety of structures, and some polyoxomolybdate (POM) molecules are the biggest inorganic molecules known, achieving similar sizes to proteins". He added "The electronic state of the POMs is responsible for imparting a blue color to the surrounding solution, as the giant POMs cluster together rather than existing as single ions. Because of the size of the POMs, we realized we could use our BI-200SM light scattering goniometer to find out the actual structure of the complexes and we subsequently discovered a unique blackberry arrangement that we believe represents a new, stable solute state. when they reach nanometer sizes." 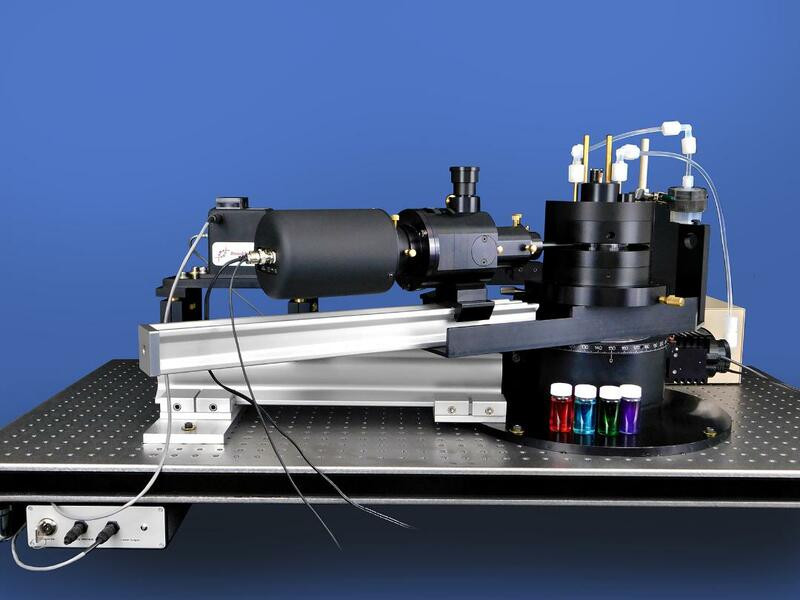 is a precision research grade instrument designed for exacting light scattering measurements. Based on a special turntable with precision ball bearings and stepping motor, the Bl-200SM's modular, automated design and quality construction guarantee precise measurements due to the wobble-free movement of the detector. As you would expect from a research grade system the BI-200SM can measure light scattering over a wide angular range (8° to 155° with 25 mm cells) and offers fine adjustment of measurement angles to 0.01° directly using a large, fine-control knob. Fine-screw vertical adjustment makes centre of rotation measurement easier when aligning cells. Precise repeatable data is ensured by automated heating and cooling of the sample cell using and standard external recirculating system. 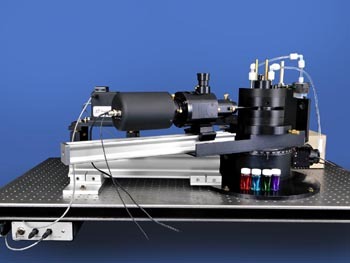 Field proven in hundreds of labs around the world the BI-200SM light scattering goniometer system is ideal for even the most demanding macromolecular studies and submicron particle sizing applications.